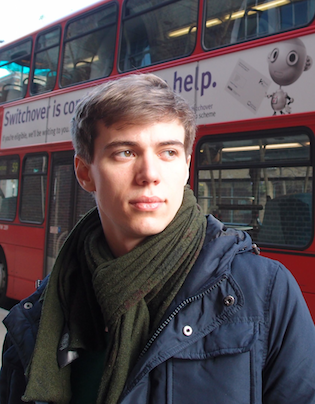 Johannes is the co-founder of ANDLABS, a company specialized in Android development. Starting his mobile career in 2008, he has been building up Android expertise since the beginning. He has helped several bluechip companies get their Android apps ready, gives talks on conferences on a regular basis and published several articles in field-related journals. Did you ever enter a wrong password and got an AlertDialog telling you that you entered something wrong? You probably did and you probably also noticed that this alert dialog most likely takes one more click to continue, a click that could be saved. One way to avoid the AlertDialog are Toasts. Here are two nice but rarely used other ways to tell your users that they should enter something different. Let’s assume we have an EditText which we use in our UI. Furthermore we have a method showError() which we call when the EditText contains invalid data. A nice way to show the user that, for example, an entered password was incorrect is to shake the EditText. Please note that I took this code from the official ApiDemos and modified it slightly. It’s a simple CycleInterpolator. This kind of interpolators express the number of repetitions an animation should do. In our case, we repeat the animation seven times. That’s it. Super easy, super smooth integration into the UI. Which looks good, catches the user’s attention and doesn’t need any extra clicks to disappear. Showing errors without interrupting the user flow can be accomplished easily on the Android plattform. For even more attention by the user, the two methods mentioned can also be combined. Please feel free to share your methods of showing error messages in the comments.